SketchUp is editor for 3D modeling of objects, scenes and their visualization in various graphic styles. Especially popular the program is in the environments of furniture and interior designers and architects. Has a lower threshold of the user's entry into real work, unlike other more complex 3D programs, such as 3ds Max, Blender, AutoCAD ... The functionality of the program is expanded with the help of plug-ins. There is the possibility of primitive animation of scenes and recording in video. The components of the scene can be made interactive for their reaction, for example, by clicking a mouse or changing some of their parameters. Includes a huge set of functions for convenient work with three-dimensional objects. Capable of implementing exciting projects even in the hands of novice users. The developers made a real breakthrough in virtual modeling, creating truly clever tools for working with geometric shapes. Now drawing, measuring, rotating and scaling three-dimensional objects has become much more convenient, which greatly increased the speed and productivity of the work. Ready 3D models are very easy to process, bringing the picture to perfection. Thanks to the advanced functionality, it is possible to easily retouch the face, put a shadow or glare, arrange the cameras and conduct a virtual review of the model. All these functions are sure to be useful to everyone who wants to present their work beautifully. 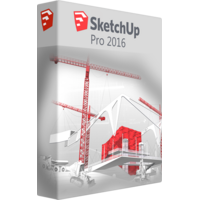 Apart from convenient use and creating a beautiful picture, SketchUP Pro 2016 offers users a wide range of options for importing and exporting files of various formats. Here, for example, it's possible to open an ordinary .jpg image and lay it on as a texture on a 3D object. 1. Convenient interface, aimed at novice users. 2. Large library of textures and finished 3D-objects (auto, people, trees, windows). 3. Ability to create own textures. 4. Creation of shadows and retouching of faces. 5. Advanced tools for conducting bright presentations. 6.  Saving animation models in video format AVI and MOV. 7. Images import (PNG, JPG, BMP, TIF, TGA) and 3D models (DXF, 3DS, SKP, DEM, DDF and DWG). 8. Saving models in the formats: DWG, XSI, 3DS, DXF, FBX, OBJ and VRML. 9. Export projects to Google Earth. And many other useful opportunities. Online store SixPenceSoftware offers great discounts on products, so every visitor can get a discount of up to 80% and purchase the right program at a bargain price.